White River CO-OP has a rich history and a promising future. White River CO-OP provides multiple services and products: fertilizer, chemical, custom application, seed, liquid propane, liquid fuel, feed, grain, swine, soil testing, crop consultation, Precision Planting, and 360 Yield Center. White River CO-OP has teamed up with some of the best companies in the country to give you the greatest yields. Our company partners with WinField, GrowMark, CountryMark, CHS and Land O Lakes. 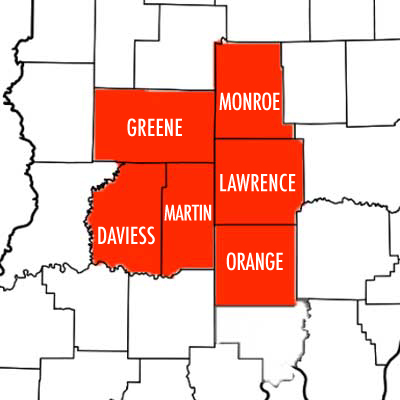 White River CO-OP is made up of six counties: Daviess, Greene, Lawrence, Martin, Monroe, and Orange. With multiple full service locations, we are well equipped to meeting your farming needs.